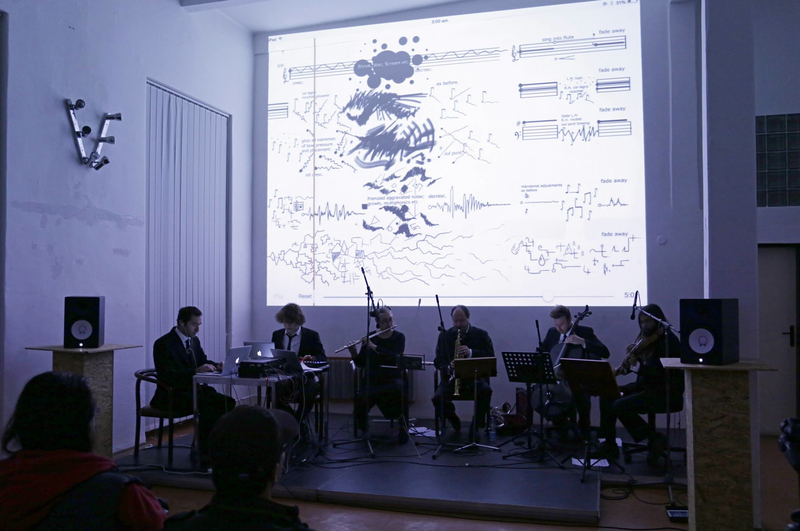 Decibel performs Anime is a concert dedicated to “Animated Notation”, an emerging form of music notation where graphic instructions are put into action through interactive computing, video and lighting. This concert features world premieres of works by composers pioneering this form, including Cat Hope (WA), Stuart James (WA), Ryan Ross Smith (USA), Lindsay Vickery (WA), Felicity Wilcox (NSW) and Dane Yates as well as the Australian premiere of a work by Bergrún Snæbjörnsdóttir (Iceland). The concert also features a new work by WA composer Jonathan Mustard, as part of Decibel’s “Difficult Commission” project, in addition to a detailed sound design created by Johannes Mulder. Presenting the scores to the audience live throughout the concert, Anime will create an equally immersive experience for the performers and audience through combined sonic and visual languages. Presented by Tura, PICA and the New Music Network with support from the WA Dept Culture and the Arts,and the Difficult Commission.